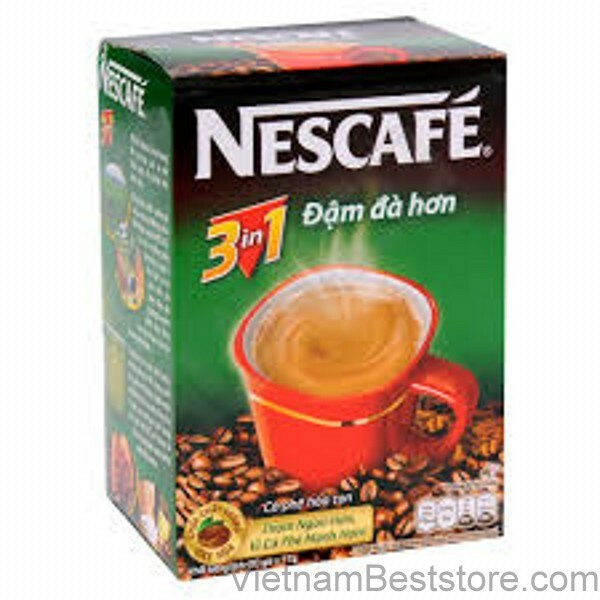 NESCAFÉ 3 in 1 stronger with more coffee components, for the true coffee lovers. Natural coffee Selected from the best coffee beans, roasted combined with secret special grind. NESCAFÉ 3 in 1 gives you a much thicker flavor characteristic of coffee. Box of 20 packs handy The design paper box, 20 packs in each box will help you easily prepared, and also easy to carry when going out or in work.